If you're looking for Silhouette CAMEO Tutorials (or Portrait) we've got 22 awesome ones for you! 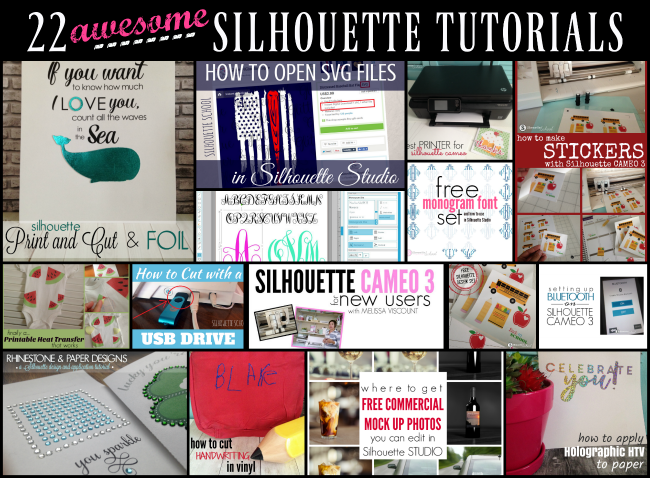 August was a busy and exciting month which included the biggest Silhouette giveaway ever to celebrate hitting 100,000 followers on Silhouette School's Facebook Page. The Silhouette CAMEO 3 also launched, I finally found a printable heat transfer material I can really get behind and the California All Things Silhouette Conference was a huge success. In case you missed anything here's a look at all of Silhouette tutorials for beginners on up that we shared this month!